Starting this week, I’m trying something new with my Meal Planning Posts. I wanted to create a meal planning resource that would actually save you time, effort and help you get the kids eating a little healthier. 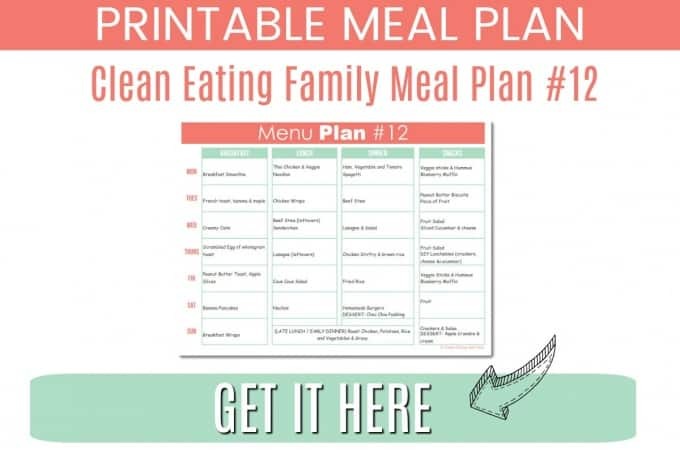 So what I’m thinking is that each week I’m going to include my very own done-for-you, printable family meal plan. It’s the meal plan I will be using in my own home. 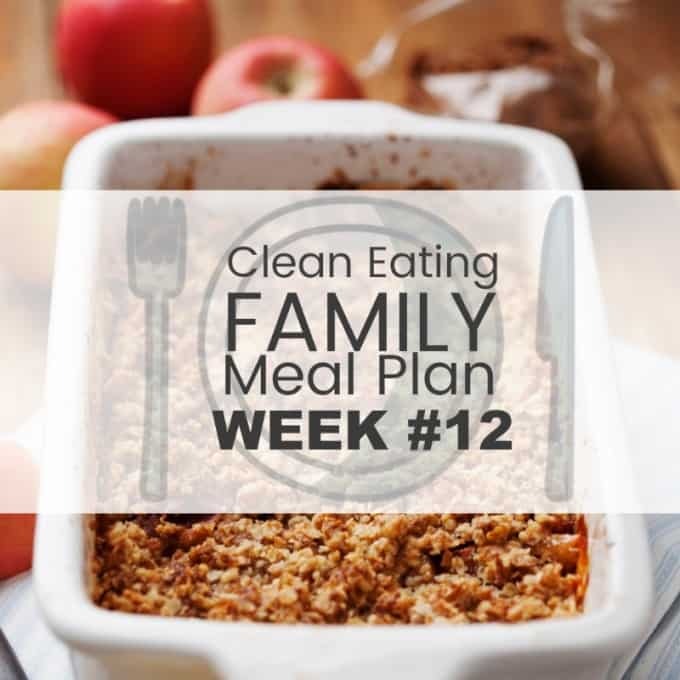 It’s a real, family friendly workable meal plan. So feel free to eat what we’re eating or tweak as you like to suit your family. I’ve decided to revamp my Meal Plans this week (and going forward from now on). Simply Click here to Download this Weeks Meal Plan, print it off and pop it on the fridge. (I like to use these little sticky magnets for my fridge filing system). Check your pantry, fridge and freezer to see what’s in stock. You can get a Free Freezer and Pantry Inventory Printable here. Sunday is my Meal Planning Day so Monday so I will work hard to regularly post my Meal plans on the Blog on Sunday night. You can read more about how I meal plan here. I don’t exclude any particular food groups, but I do limit sugar and dairy when possible as my eldest daughter is lactose intolerant. I cook from scratch as much as I can but I do take a few shortcuts and try to keep prep time to a minimum (preferably under 30 minutes). My recipes start with whole, real food ingredients. We are a real family, so there are often family favorites that I cook again from week to week. I haven’t included links to all the recipes on this page (because that would be a long, long post), but you can find all recipes on the Blog by typing in the search bar. 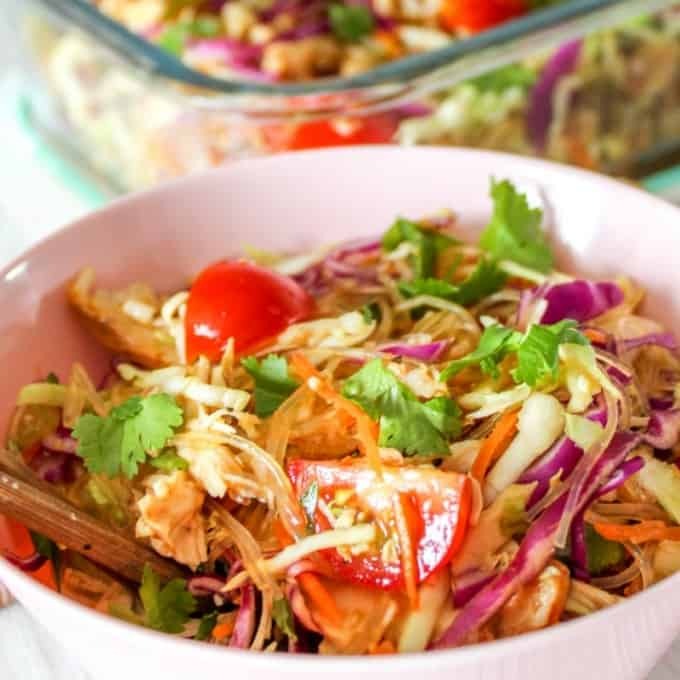 Thai Chicken and Veggie Noodles – A very versatile noodle salad. You can use any fresh vegetables that you have in the fridge. It works beautifully as a packed lunch and can be prepped the night before, so great for school days. Try the Thai Chicken and Veggie Noodle Salad here. 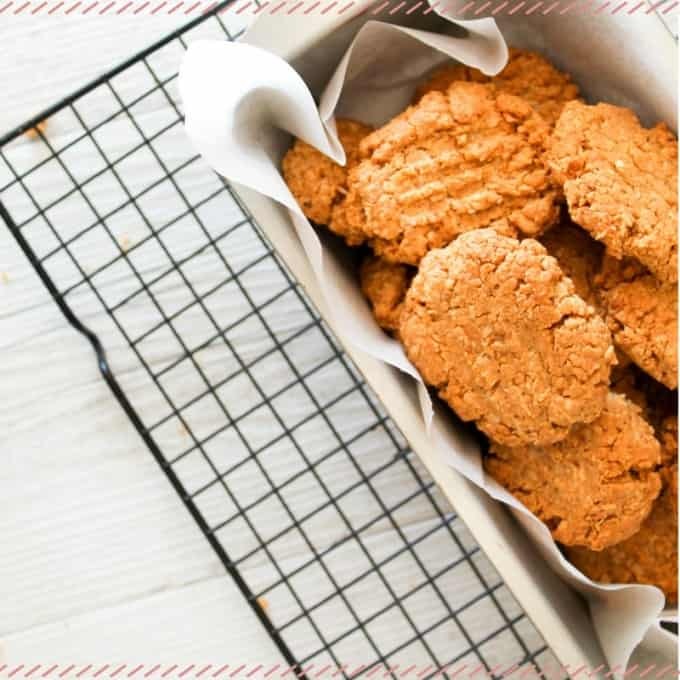 Peanut Butter Biscuits – A 5 ingredient recipe that is an all time family favorite. 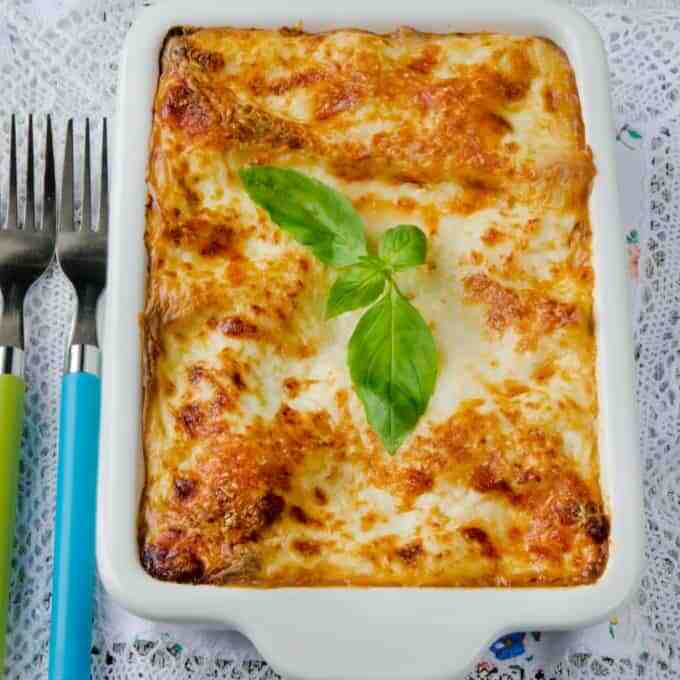 Lasagna – My kids go crazy for this easy lasagna. I like to sneak a few extra vegetables in the pasta sauce before adding to the lasagna. For the fussier kids, you can puree the pasta sauce for a smoother texture. 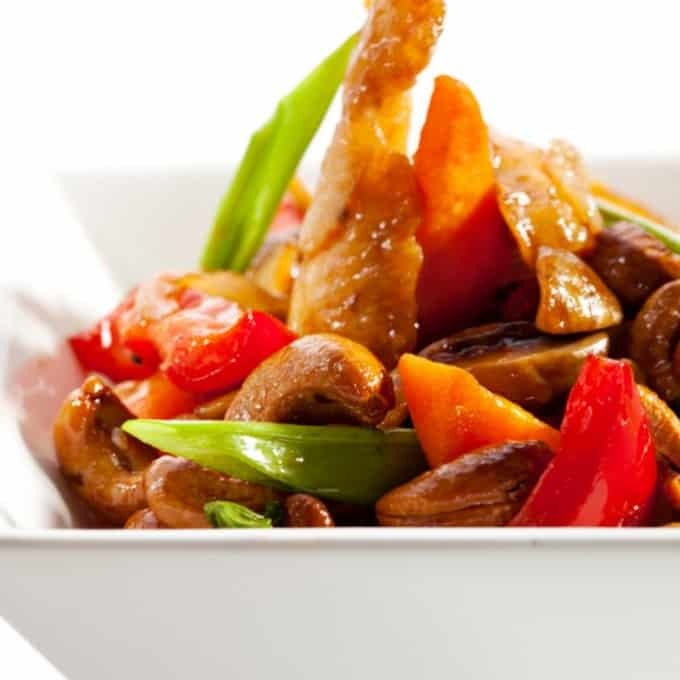 Chicken Stirfry– This is a fast week night dinner option that you can make even faster using precooked, shredded chicken (or rotisserie chicken). Finely slice all vegetables (or purchase a ready chopped bag of vegetables from the supermarket), and then pour over a little Tamari sauce before serving. Or give this Clean Eating Teriyaki Stirfry Sauce a try. Easy Stir Fry Sauce: Mix together all these ingredients, add to stir fry and fry for about 30 seconds before serving. 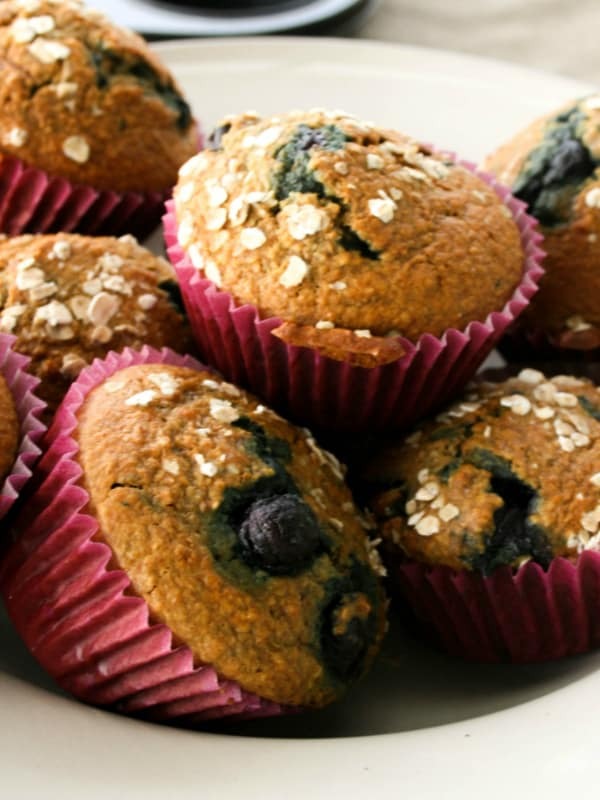 Blueberry Muffins – Make an extra batch of these as they freeze well. Pop a frozen muffin in the school lunch box and it will thaw by morning tea and keep lunch cold. 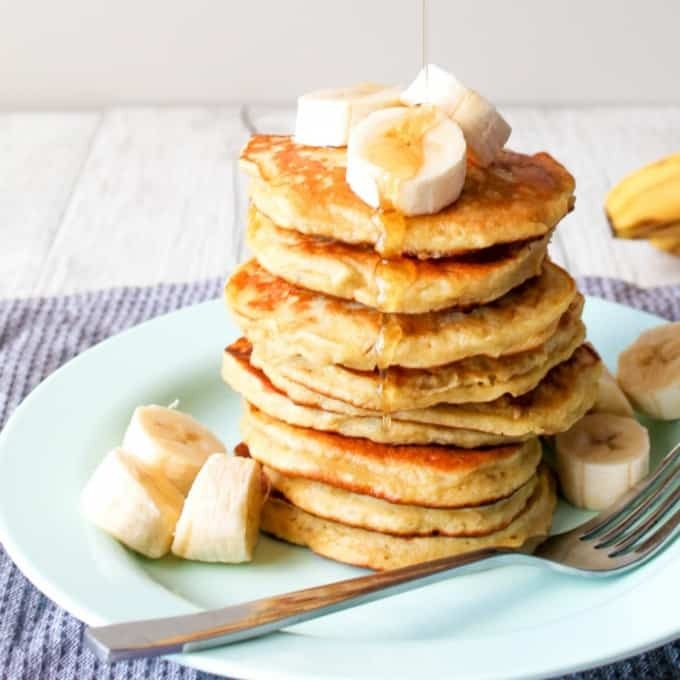 Banana Pancakes – Even the Teens will get up early for a batch of these babies. 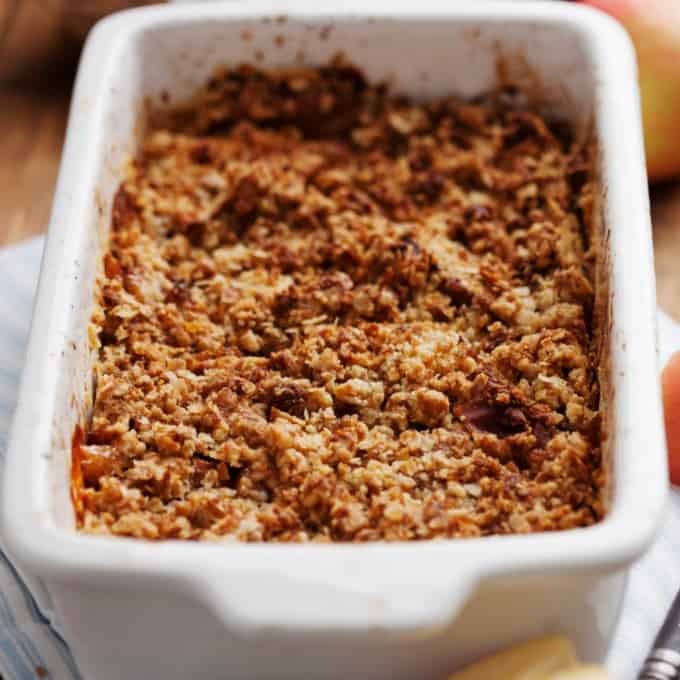 Apple Crumble & Cream – Still one of the tastiest desserts. Serve hot or cold with a big dollop of fresh cream.